WCWC is pleased to be participating in a course, Managing Legionella Risk in Buildings through Water Safety Management Planning. This course will be presented by the private sector and federal and provincial partners to provide education on effective water safety management plans to reduce exposure to Legionella. Information will be beneficial for building owners, facility managers, drinking water system owners and operators, public health inspectors and healthcare professionals. This course will provide a foundational understanding of how to write effective water safety management plans based on the ANSI/ASHRAE 188 standard to manage Legionella in buildings. Participants will hear from various private and public sector partners on how each is uniquely positioned to assist in managing the proliferation of Legionella in buildings. Speakers include: Aziz Ahmed, Ministry of the Environment, Conservation and Parks; Jennifer Clancy, ESPRI Institute; Michele Grenier, Ontario Water Works Association; Brian Jobb, Walkerton Clean Water Centre; John Minnery, Public Health Ontario; Jeff Moffat, Public Services and Procurement Canada; Bill Pearson, BPEARSON Consulting; Patrick Racine, DuBois Canada; Patsy Root, IDEXX Laboratories; and Gordon Yasvinski, Health Canada. The course will be held on May 16, 2019, 8:00 a.m. to 4:30 p.m., at 125 Resources Road, Toronto. There is no charge to attend. Visit the Ontario Water Works Association website to register: https://www.owwa.ca/events-calendar/. The Walkerton Clean Water Centre (WCWC) is pleased to be hosting a workshop, Drinking Water Quality Management Standard — Making the Transition, in three locations this spring. This workshop will be geared toward Drinking Water Quality Management Standard (DWQMS) representatives, utility managers, drinking water operators, regulators and municipal decision makers. Participants will rotate through highly interactive breakout sessions facilitated by industry experts to discuss topics such as transitional audits, evaluating mandatory hazards, corrective and preventative actions, infrastructure planning, emergency preparedness and best management practices. As well, the Ministry of the Environment, Conservation and Parks (MECP) will provide an update on the status of the Municipal Licensing Program and how municipalities are transitioning to DWQMS 2.0. The cost to register is $455.00 + HST. For further information, or to register for this workshop, please visit wcwc.ca/registration or contact us at 866-515-0550 or training@wcwc.ca. 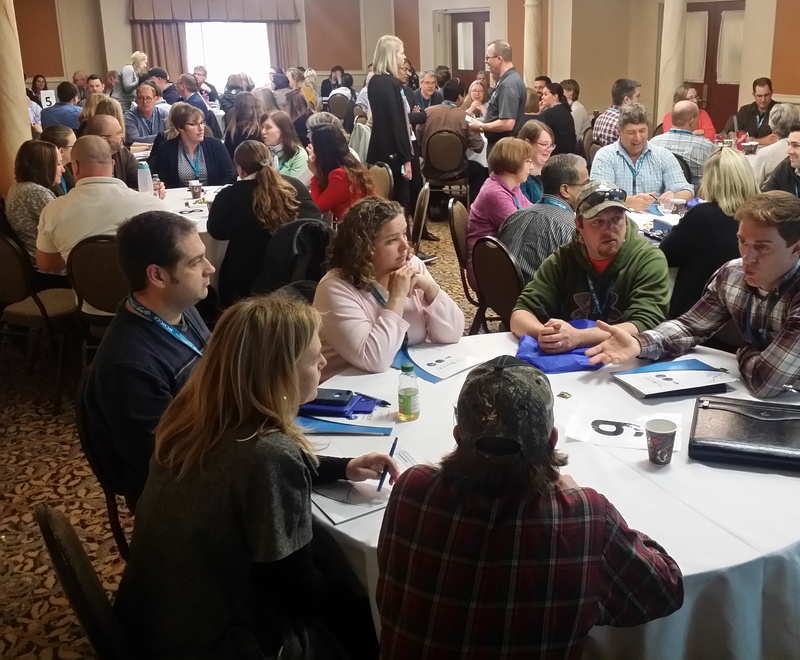 The Walkerton Clean Water Centre (WCWC) recently supported the Aboriginal Water and Wastewater Association of Ontario 24th Annual General Meeting and Training Conference held in Thunder Bay, Ontario. 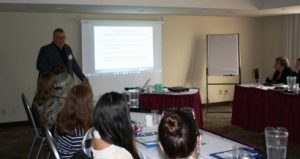 WCWC staff delivered hands-on and mandatory training to approximately 80 First Nations registrants from around the province. WCWC delivered a successful Maintenancefest event to conference attendees, January 29–30, 2019. This unique training experience included three hands-on training modules: Iron and Manganese in Groundwater; Maintenance and Calibration of Lab Equipment; and Sampling, Testing, Adverse Results and Corrective Actions. Participants rotated through modules, earning 0.6 Continuing Educations Unit (CEU). Feedback from participants was excellent; every respondent indicated that they would recommend the event to others. Conference participants also had the opportunity to attend the course, Safe Drinking Water Operator Essentials, the mandatory certificate renewal course that must be completed every three years by drinking water operators holding Class I through IV, Water Quality Analyst or Limited System licenses. The course focuses on the role of the drinking water operator in emergency planning and response, regulatory updates and equipment maintenance. For more information about WCWC, please visit wcwc.ca or contact us at 866-515-0550 or inquiry@wcwc.ca. Background: WCWC is an agency of the Government of Ontario, established in 2004, to help ensure clean and safe drinking water for the entire province. WCWC coordinates and provides education, training and information to drinking water system owners, operators and operating authorities, and the public, in order to safeguard Ontario’s drinking water. To date, high-quality drinking water training has been provided to more than 81,000 participants across Ontario. Through partnerships, WCWC also provides training for the 133 First Nations communities in Ontario. For more information please visit www.wcwc.ca. 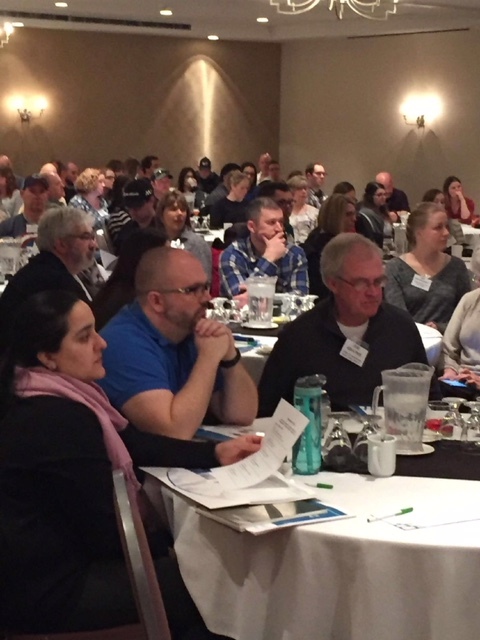 The Walkerton Clean Water Centre (WCWC) is pleased to be hosting a workshop, Drinking Water Quality Management Standard — Making the Transition, in three locations across the province. April 3 & 4, 2019 in Kingston, 8:30 a.m. to 3:30 p.m.
April 16 & 17, 2019 in London, 8:30 a.m. to 3:30 p.m.
April 24 & 25, 2019 in Thunder Bay, 8:30 a.m. to 3:30 p.m. The Walkerton Clean Water Centre (WCWC) is delivering the course, Responsibilities Under the Statutory Standard of Care — Safe Drinking Water Act, to municipal officials, mayors and councillors with oversight responsibility for drinking water treatment and/or distribution systems. The course is designed to inform municipal officials of their oversight responsibilities under Section 19 of the Safe Drinking Water Act, 2002. Severe penalties are possible for municipal officials who fail to act in good faith and do not exercise honesty, competence and integrity to ensure the protection and safety of the users of municipal drinking water systems. The three-hour course provides basic information about drinking water systems, the multi-barrier approach to drinking water treatment and some of the risks associated with drinking water treatment and distribution. The course includes several case studies that examine water-borne illness and how these disasters could have been prevented. Participants will also learn about additional specialized training that is available. This course is particularly important commencing in December as a provincewide slate of new elected officials takes office. Background: WCWC is an agency of the Government of Ontario, established in 2004, to ensure clean and safe drinking water for the entire province. WCWC coordinates and provides education, training and information to drinking water system owners, operators and operating authorities, and the public, in order to safeguard Ontario’s drinking water. Through partnerships, WCWC also provides training for the 133 First Nations communities in Ontario. To date, high-quality drinking water training has been provided to more than 80,000 participants across Ontario. For more information please visit www.wcwc.ca. 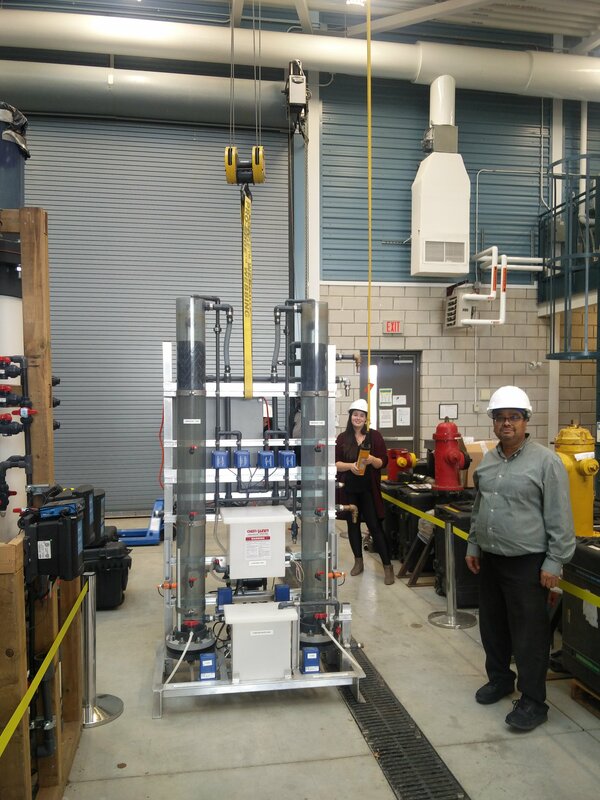 The Walkerton Clean Water Centre (WCWC) has added a new pilot scale water treatment technology to the Technology Demonstration Facility. The fluidized bed ion exchange is specifically designed to remove organics to control disinfection by-products. Organic reduction is one of the top requests for pilot testing from drinking water systems. This new equipment will allow WCWC to increase its capacity for pilot testing. Pilot testing provides relevant and customized information to enhance the understanding of source water, treatment processes and alternative treatment options. Through bench and pilot scale testing, WCWC can support drinking water systems by comparing several treatment options. WCWC is currently working on a number of pilot testing projects. These projects are focussed on controlling organics and disinfection by-products, iron and manganese, inorganics and coagulation optimization. A detailed report of the results is shared with the client and a summary report is added to WCWC’s Drinking Water Resource Library, which is a free online portal that assists operators in finding information on various drinking water topics. Each pilot testing project has been very successful and has helped communities optimize their drinking water. Along with the fluidized bed ion exchange, other WCWC pilot scale water treatment equipment can be tested using a community’s raw water either at WCWC or installed at a community’s water treatment plant. WCWC’s pilot scale treatment equipment includes conventional treatment, dissolved air flotation, ultrafiltration, reverse osmosis, nanofiltration, slow sand filtration, ozone and advanced oxidation processes, greensand filters, cartridge filters and ultraviolet light disinfection. The Ministry of the Environment, Conservation and Parks has released the 2017-2018 Chief Drinking Water Inspector Annual Report. This report highlights efforts to provide the people of Ontario with high quality drinking water that is among the best protected in the world. Visit Ontario’s Open Data Catalogue to see our supporting Drinking Water Quality and Enforcement data.